This is the ultimate experience on Africa’s greatest mountain, Kilimanjaro. Join this all Canadian group of friends as they trek through the unique landscape of Kilimanjaro and then head towards the Serengeti for an unforgettable Safari experience. We will send daily dispatches for you to have a day to day insight of how the team is doing and to hear about their adventure. Stay tuned! September 30, 2008 – Amazing Animals Are Abundant! 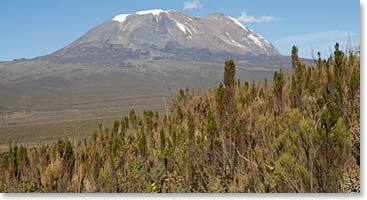 September 25, 2008 – Team Summits Kilimanjaro!